There are over 200 ant species living in Southern California! While we can’t highlight each one, the pest experts at Animal Pest Management Services, Inc. would like to help our valued customers identify a few of the most common ant species we see in our area. 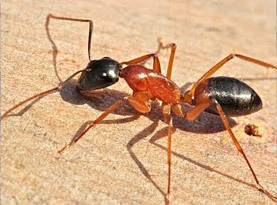 The Argentine Ant is one of the most common household ant species we see in Southern California. 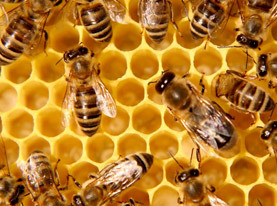 They produce very rapidly and are a problem because the kill beneficial ant species and harbor nuisance pests like aphids, mealybugs and whiteflies. Carpenter Ants are the largest ants in North America and vary in color from black to dark brown. They hollow out wood that has been damaged by water to build their nests. If left alone they can cause significant structural damage. 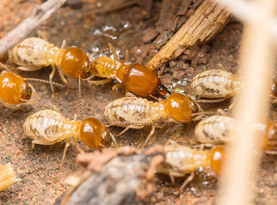 If you see tiny light brown or yellow ants, they are likely Thief Ants. They are known for stealing larvae from other ant colonies for food. They are truly a nuisance because they are small enough to easily work their way into packaged food while other ant species can’t. These ants earn their name by the nests they build in the cracks and crevices of cement. Pavement Ants are incredibly small and often make their way into your home by walking along the wiring and plumbing leading into your home. While these are the most common ants found in our area, you may also see Pharaoh Ants, Imported Fire Ants, Harvester Ants, Odorous House Ants and other species of ants in your home. 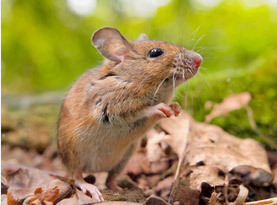 Getting rid of ants can be challenging and that’s why the experts at Animal Pest Management Services, Inc. are here to help you get rid of these pests. Call us today!